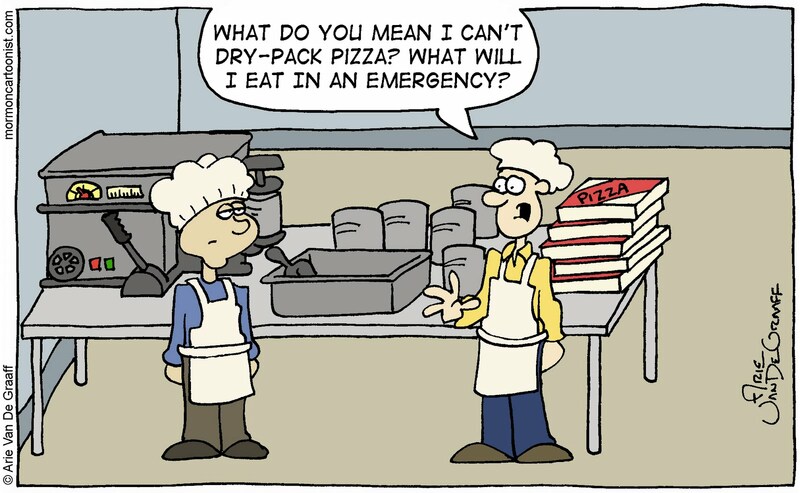 I don't have much to add to today's comic except to point out that I would totally be into Dry-pack Pizza and that this gag comes from the criminally inexpensive Mormon Life, now on sale for $4.99--a perfect gift for everyone on your Christmas list. 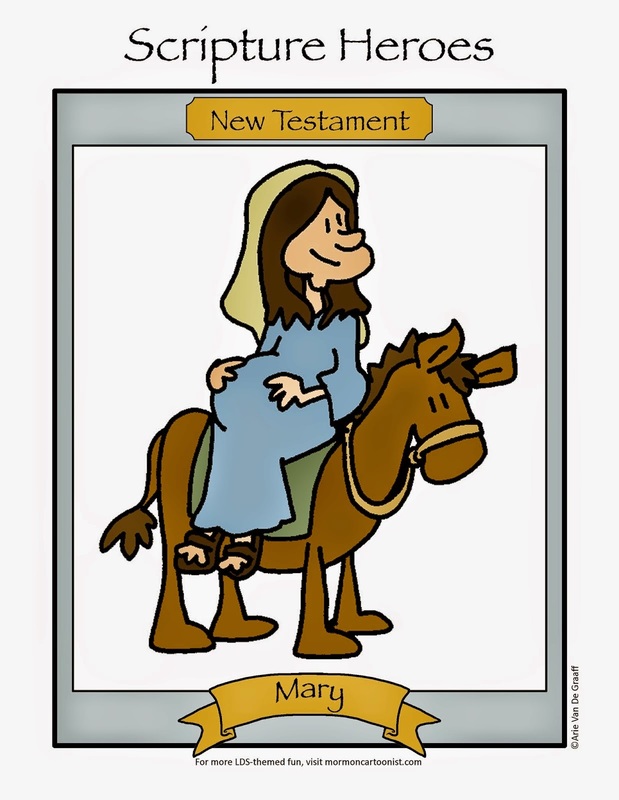 I like that joke. It would be funny if they had an emergency, and then one of them said "I think you were right." Very funny comment. 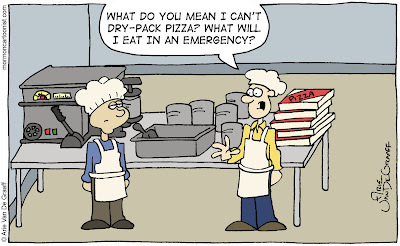 In the event of an emergency you'd be able to feed teenagers only so many dried legumes and canned veggies before they break into a pizza-crazed rebellion. If you are suggesting there is a way to dry-pack other foods than those at the cannery (like pizza), I would definitely love to see dry-pack steak and baked potatoes from Outback!